My blog design series is finally ready to come to a close as I gear up for more great craft tutorials. 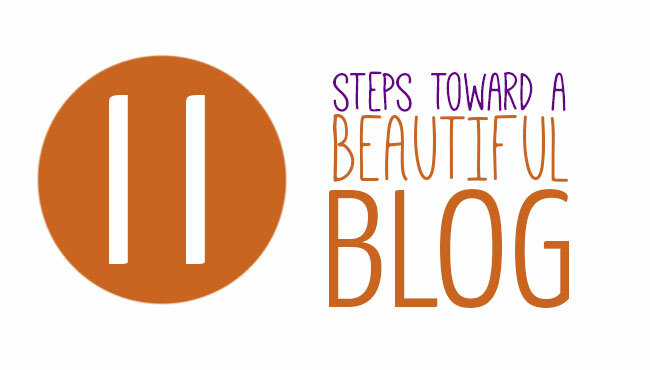 I decided to round it up into actionable steps toward a well designed blog so that you can follow through it in an orderly way. Now for an exciting announcement: I will be starting to redesign Moms & Crafters! When I started it, everything just “fell together” and was not planned out in the least. Going through this series made me realize how much I need to change to have a really well designed blog. I will be using this as a checklist for myself as well and can’t wait to show you the results! 1. 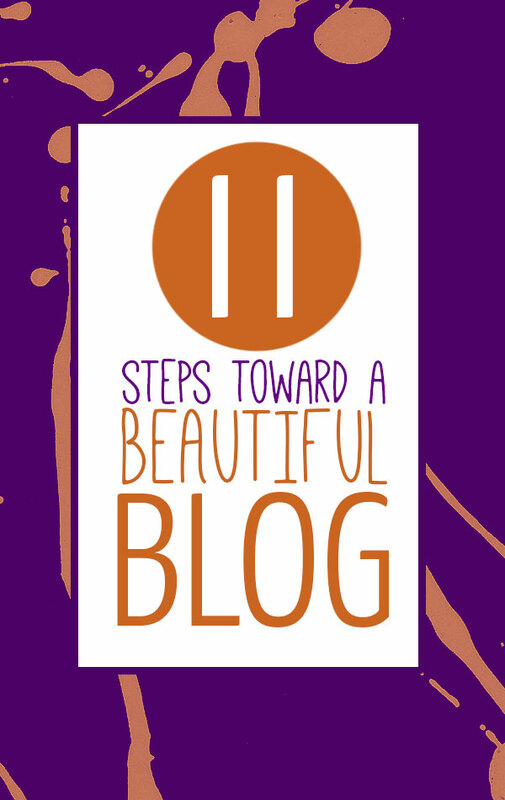 Know why it’s important that your blog be beautiful. Learn what pixels are, and some other little words you’ll need to know. Start saving your graphics in an SEO optimized format from the start. 2. Start planning out your branding. Yup, if you want people to remember you, you need to be well-branded! 3. Start creating your elements! A logo is the perfect place to begin. Make sure to follow some basic guidelines to ensure your logo is clear and professional looking. 4. Design a seamless background to match your branding! I’d recommend going with a non-intrusive, subtle pattern. 5. Add social media icons that match. You’ll find a huge list of free ones for commercial use here, including a tool to customize it. Or you can use the ones I designed for you. 6. As you customize your theme, choose colors to match your branding, and fonts that work well. 7. Get posting! Make sure the visuals on your post are stunning to grab those readers. Start by improving your basic photography skills and learning how to enhance your images just a bit. 8. Sometimes you just need a good stock image, and you can even get it free! Just make sure to check your image licenses (it’s not that hard). 9. Make sure to feature images on your blog posts in sizes that make them easy to share, and that will have the most impact when you share it. 10. Pinterest is a major traffic source for me. Make sure to have a Pinterest-perfect image on every blog post. Use online software such as Befunky to make it. 11. Use your design skills for actual site content! People love free things, and you can give one out digitally. It’s a great way to get people to subscribe, write a quicker blog post in a fix, and make your existing followers happy. Make sure these are in the correct format for print. Create it using programs such as Photoshop or Publisher, and then offer it in a new blog post. One of the best ways to expand on this knowledge is to read up on the subject! Here are some awesome books on the various subjects discussed. Note: I haven’t read these personally (I took a course) but the ratings are great both on Amazon and other sources. These are affiliate links. I’d love to see what you’ve done with yours! Comment below with your well designed blog OR your tips for a well designed blog! These are great tips — thank you!